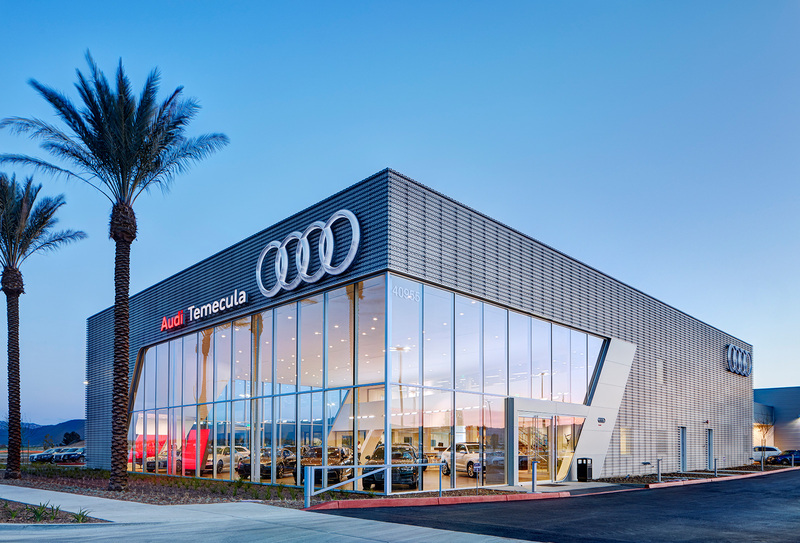 The Audi Temecula project consisted of the ground-up construction of an approximate 40,000 Square Foot Audi dealership for Hoehn Motors. 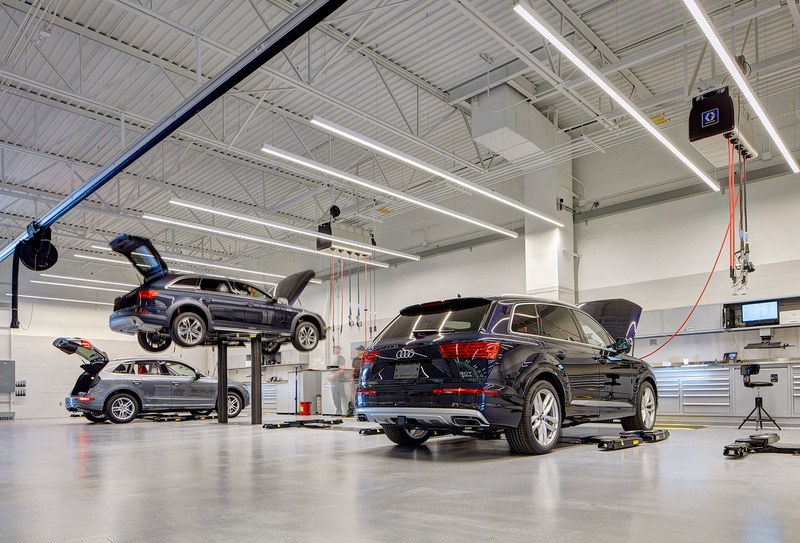 The new full-service Terminal Audi facility is situated on 4.5 acres fronting Interstate 15. 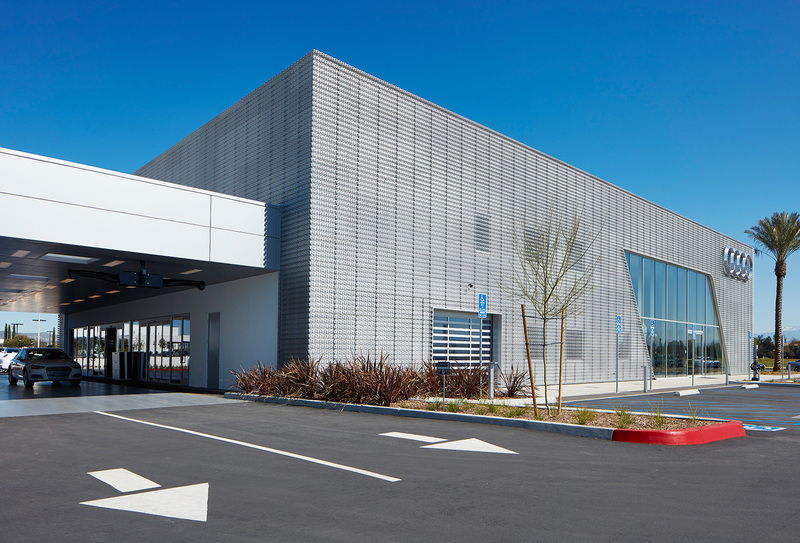 Features include a show-room building with offices, sales and administration areas, as well as a car parts, high-bay service area, detail bays, and wash bays. 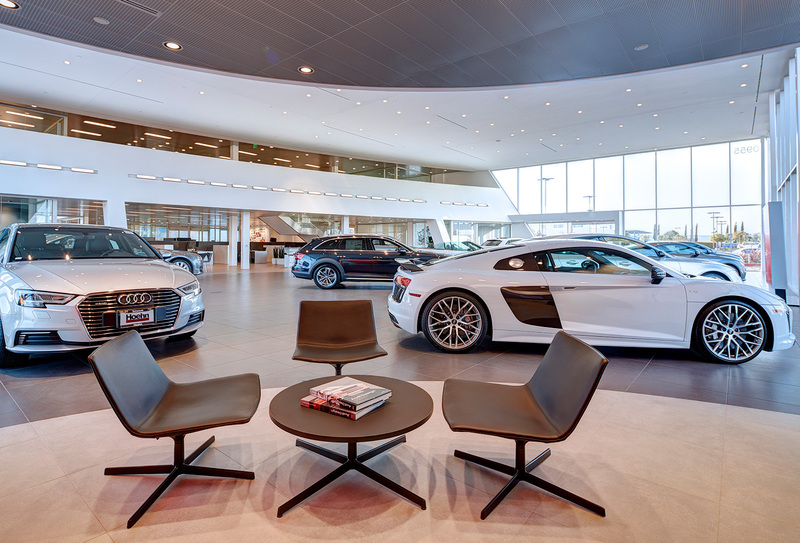 It is anchored by a full glass “Jewel Box” fronting Interstate 15 that showcases the Audi Product. 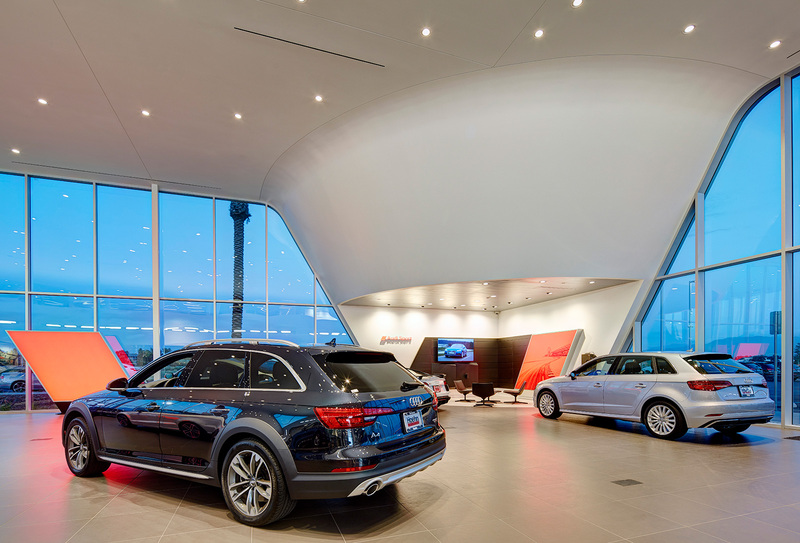 The showroom building features an eloquent perforated metal facade, radius curtain wall system, radius “Audi Raceway” wall, convex wall framing and finish showcasing “Audi Sport”, illuminated wall and ceiling fabric, metal ceiling panels, and high-speed sectional roll up doors. Situated at the heart of the showroom is a floating staircase clad with stainless steel and trimmed by a mullion-less glass guardrail leading to a birds-eye view of the showroom floor. 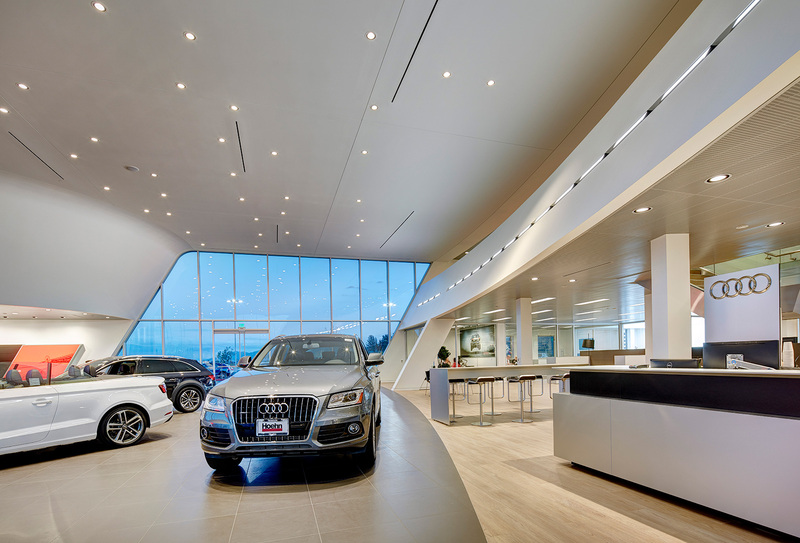 The showroom floor is highlighted by meticulously situated accent lighting, imported floor tile, and metal clad entrance canopies. 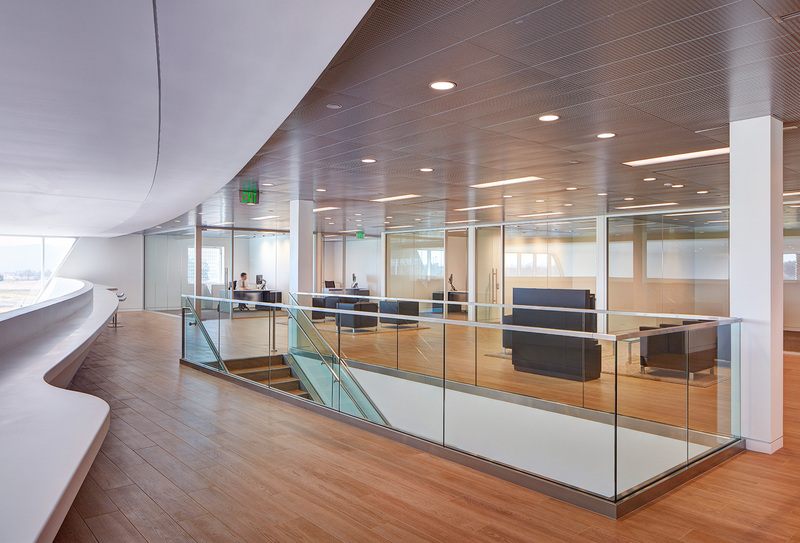 The 2nd level sales is inclusive of a central lounge surrounded by mullion-less glass offices offering an open 1st class office environment. 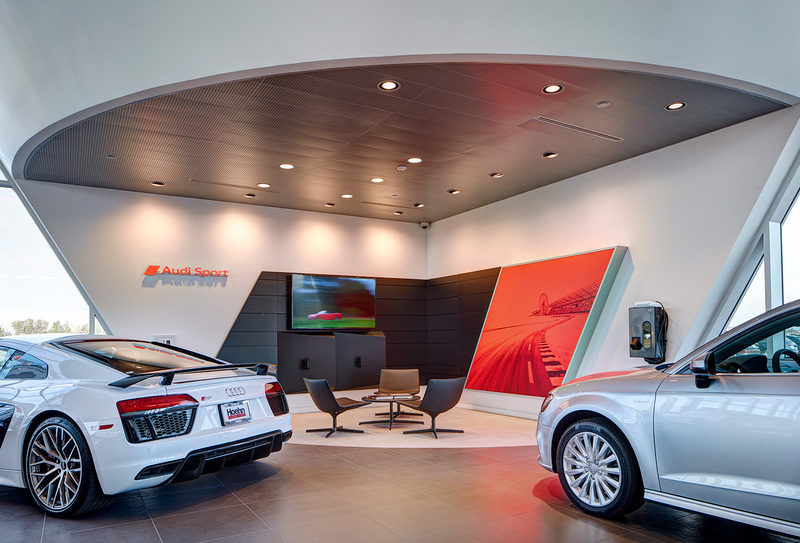 Separating the showroom from the service garage is a drive through breezeway finished with a double broadcast epoxy floor, metal ceiling panels, skylights, and a smooth plaster wall finish. 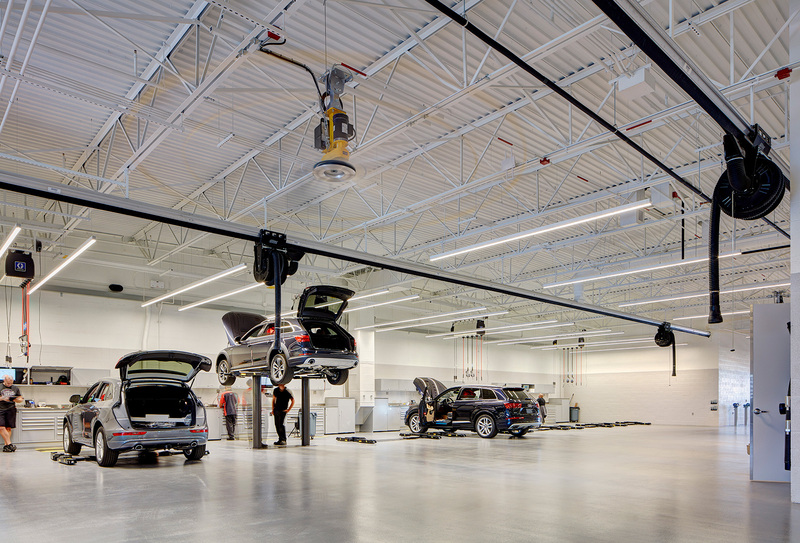 The service garage is complete with 17 service bays and parts storage inclusive of a bin supported mezzanine. 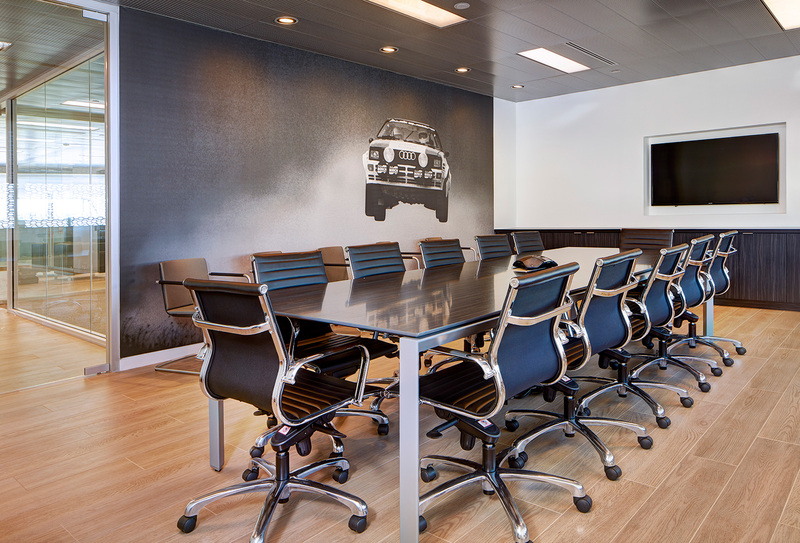 It is ventilated by oversized ceiling fans and high speed sectional roll-up doors. Finishes include a double broadcast epoxy floor and epoxy wall paint. The project also included extensive on-site and off-site improvements including the extension of a public roadway, extension of the domestic water and recycled water, public sewer, power ductbank, off-site storm drain, site grading with detention basin infill, bio-retention basins and significant grading excavations and import.